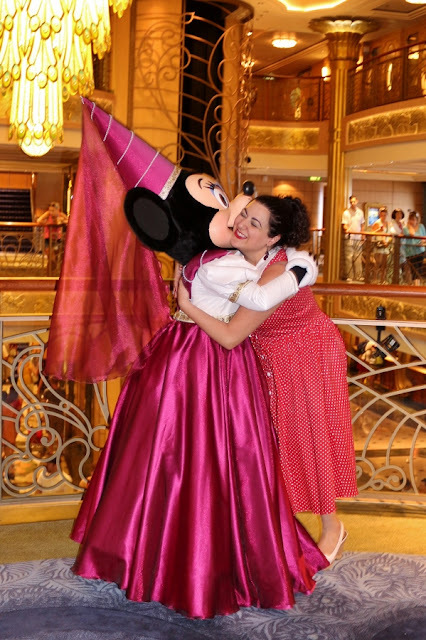 Today I'm sharing some of my favorite things about Disney Cruise Line, and namely my favorite ship, the Disney Fantasy. I've sailed on two of the four cruise ships (plan to sail the other two next year!) but each pair of ships are sisters, and designed and built very similarly. 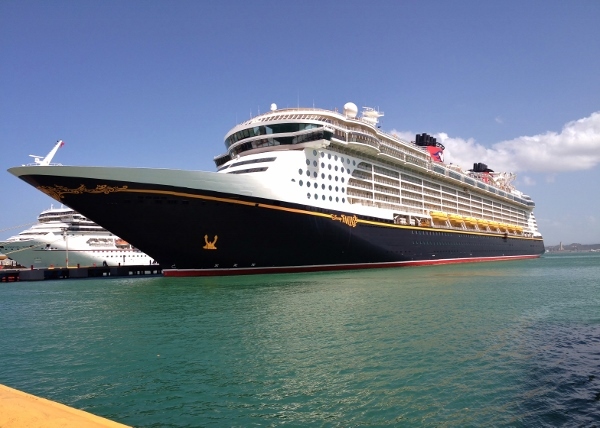 The Disney Magic and Disney Wonder make up the Classic Ships. 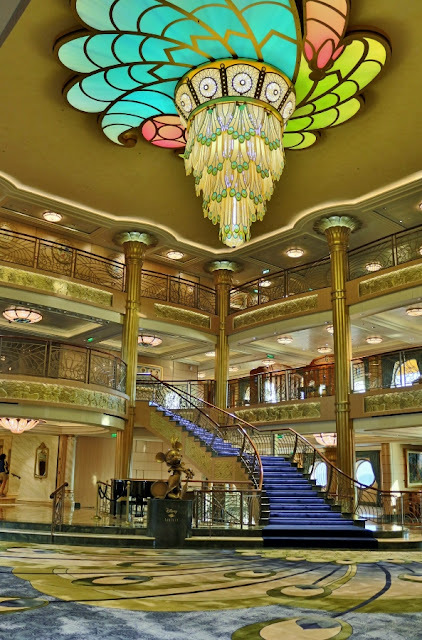 They are smaller (2400 passenger capacity, 11 decks) and missing some of the features on the newer larger ships. The Magic was Re-Imagined in 2013, and the Disney Wonder will likely be Re-Imagined the fall of 2016. I have sailed on the the Disney Magic both before and after it's Re-Imagination and found it charming and delightful both times! It was the first ship I ever sailed and it has a special place in my heart always. 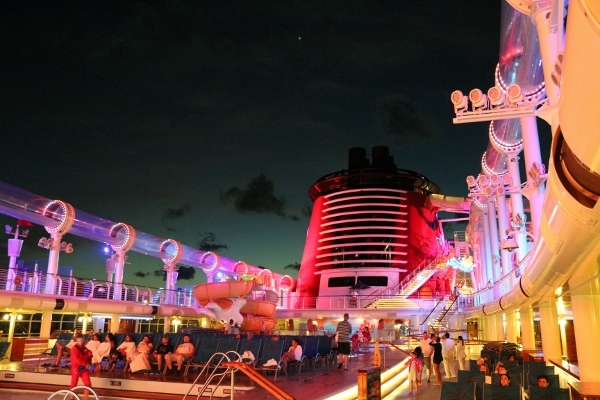 The Disney Dream and Disney Fantasy make up the Dream Class ships. They are basically identical, 40% larger than their older sisters (4000 max capacity, 16 total decks, but only 14 passenger decks), but the Fantasy has a few features that are different from the Dream. The Dream is actually getting some updates this upcoming fall to actually remedy a couple features that it missed out on by being built first, Satellite Falls being the one I'm most excited about. 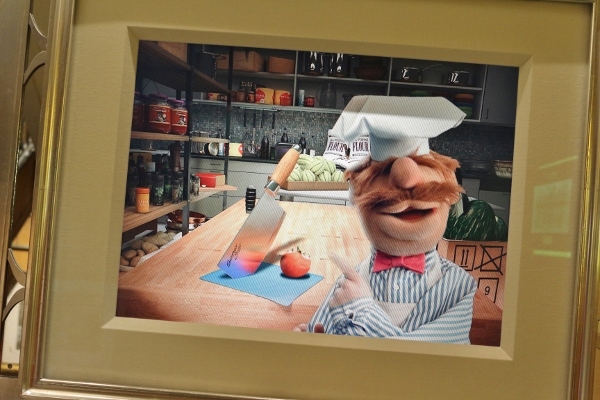 Today's favorite things post will not include food or drink references. 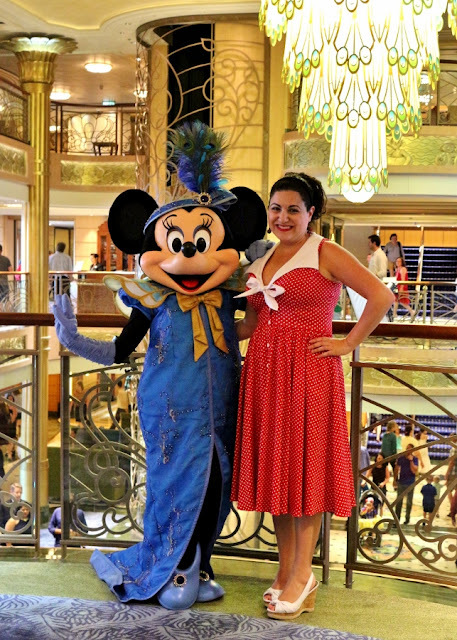 I've already shared a lot in the past regarding why I love Disney Cruise Line for dining, but you can check out more details as to why I love it in the following posts: dinner and Champagne brunch at Remy, dinner and brunch (on the Fantasy and the Magic) at Palo, wonderful rotational dining on the Disney Fantasy and Disney Magic, a special look at Royal Court on the Disney Fantasy, the wonderful Finding Nemo-themed buffet at Cabanas, and my favorite nightlife on any ship, Europa on the Disney Fantasy. Atrium. 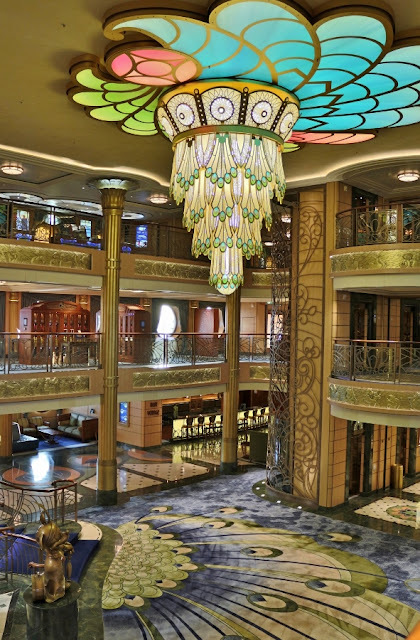 The atrium in the Disney Fantasy is the most stunning, in my opinion, of any of the Disney ships (although I've sailed on only two so far, I have seen photos of the others). The ship as a whole is designed in the Art Nouveau style (as is the Disney Wonder--the Magic and Dream are Art Deco). 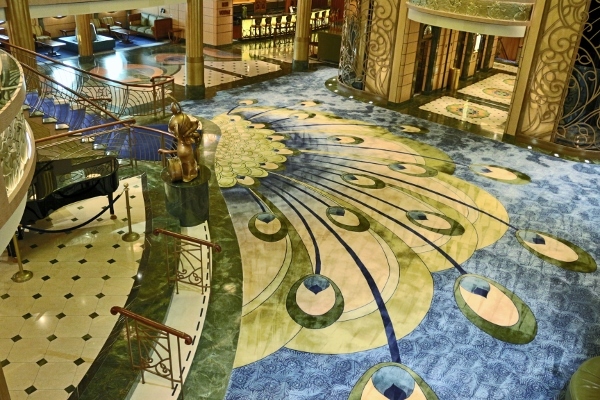 From the chandelier to the carpet, the atrium is decked out in peacock theming. 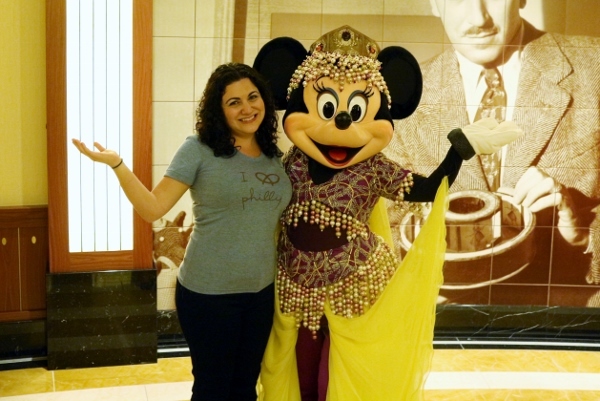 Even the 1920's style Minnie Mouse statue in the atrium is inspired by peacock (there's a feather in her hat). Minnie also wears an outfit identical to her statue for formal and semi-formal nights on the Fantasy! 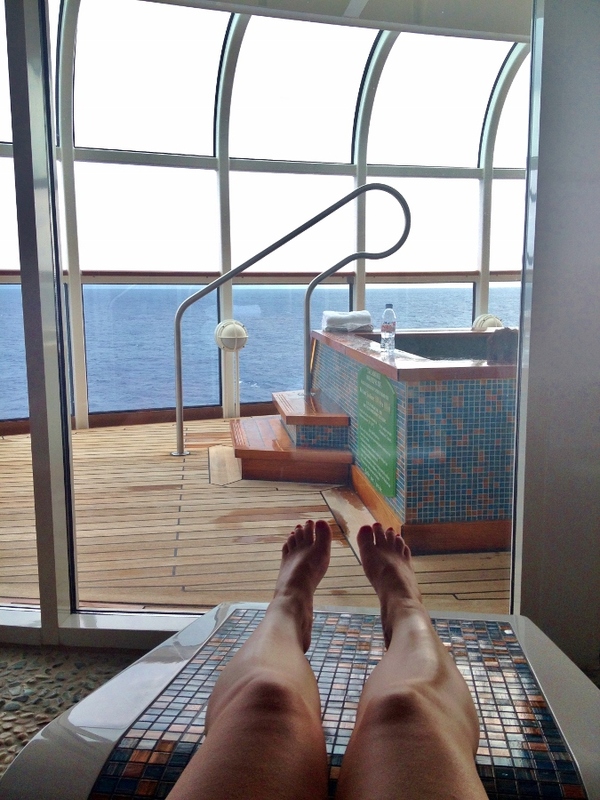 Staterooms. 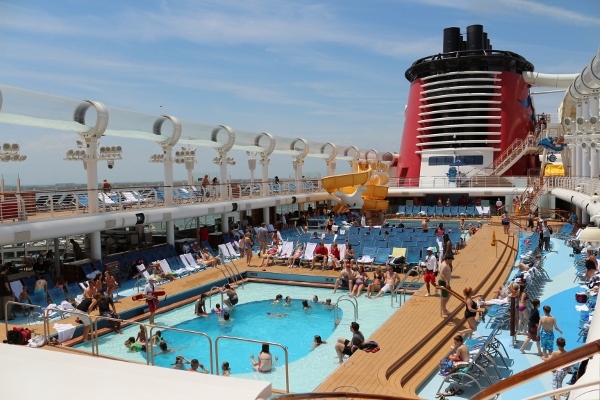 Disney Cruise Line notoriously has larger, more spacious staterooms than other cruise lines. They also offer raised beds (with tons of room beneath for storing luggage), split baths (with a toilet and sink in one room and the shower--most with tub--and a sink in the other), decent sized adjustable televisions with free On Demand Disney movies on the Dream Class ships (not just animated but all Disney produced movies! 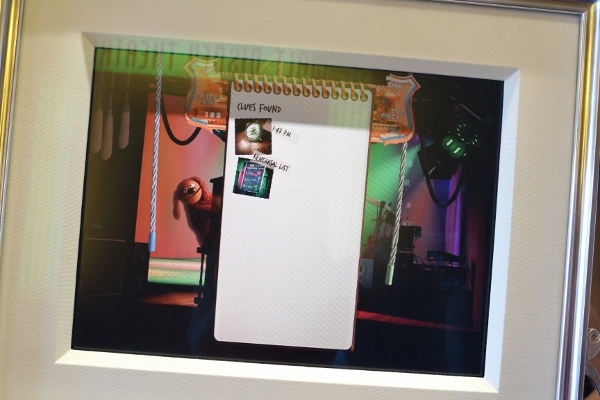 ), and so much more. 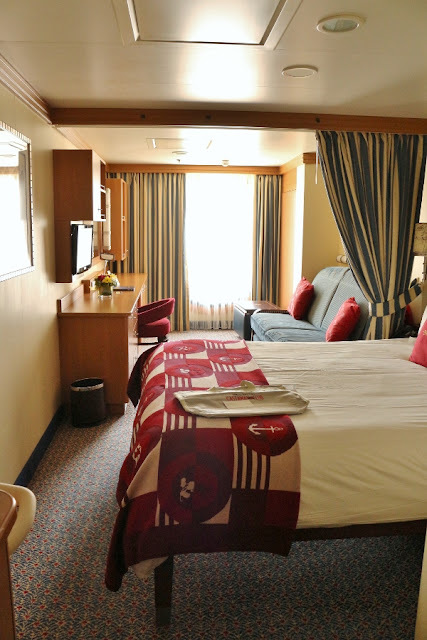 When sailing on the Fantasy, we actually prefer staying in the Family Oceanview Staterooms which basically tack on the square footage you would have on your verandah and add it to the square footage of the room instead (these rooms are 241 sq ft, while typical oceanviews and staterooms with verandahs are 203-204, with an extra 43 for the verandah). 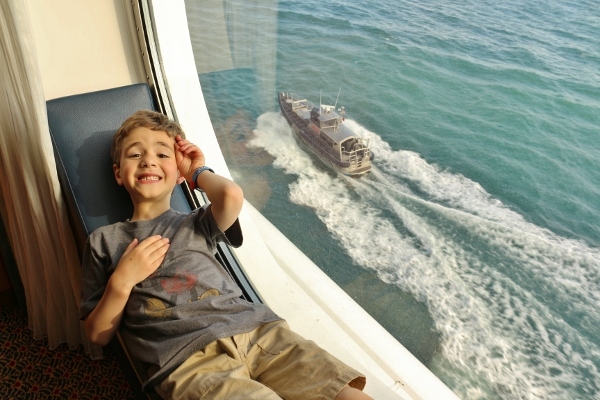 Many of these staterooms can actually sleep up to 5 (two in the queen bed, one on the convertible sofa, one in the bunk, and one in a pull-down Murphy bed). 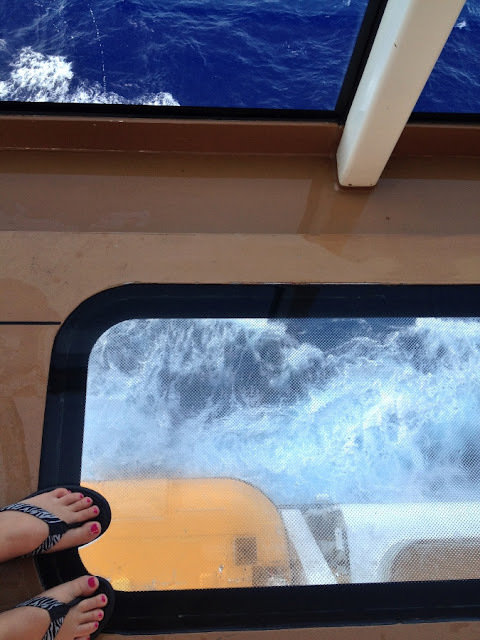 They also feature huge porthole windows with seating. These particular staterooms are only available on the Dream Class ships, but there are spacious options on all the ships! Tub and shower with two different shower heads and a seat if you need it! 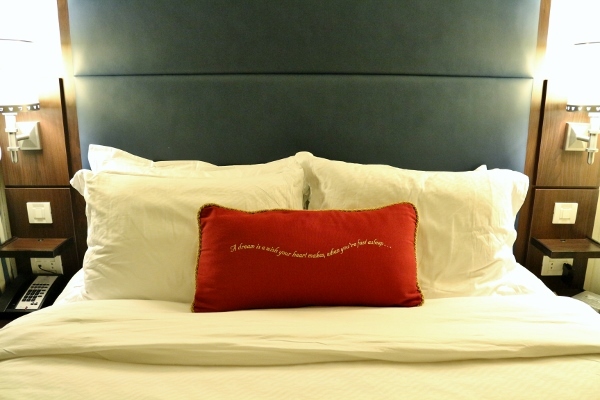 "A dream is a wish your heart makes when you're fast asleep..."
Satellite Falls. 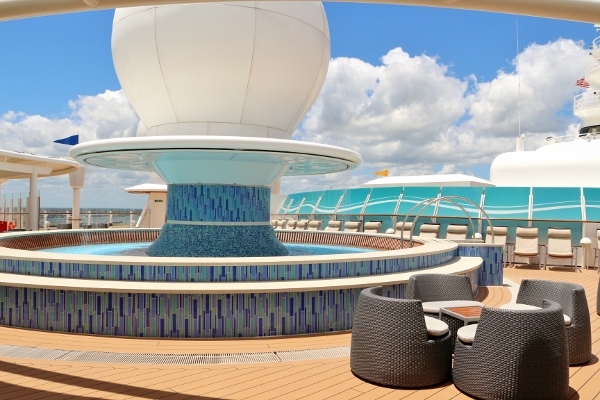 Located on deck 13 in the absolute front of the ship is one of my favorite adults-only spots on the Fantasy, Satellite Falls. 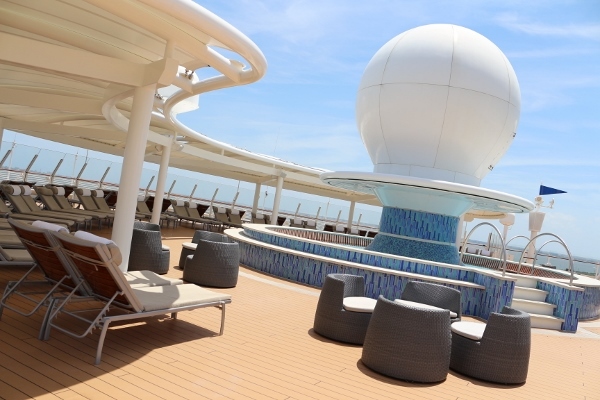 There's tons of deck space both in the sun and in the shade with the highlight of the space right in the center. 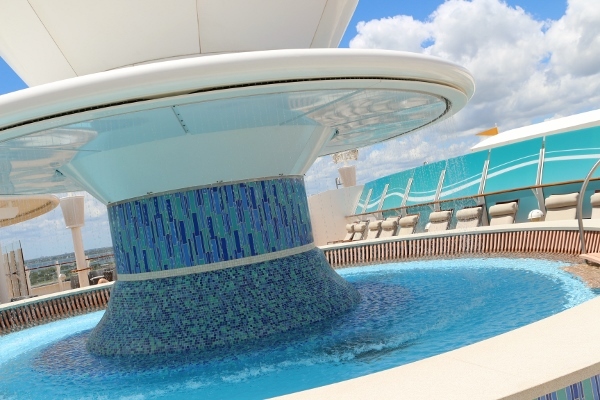 It's not exactly a swimming pool, but it is a pool! It's round and shallow with seating along the inside and water trickling down around the circumference, hence the "falls." 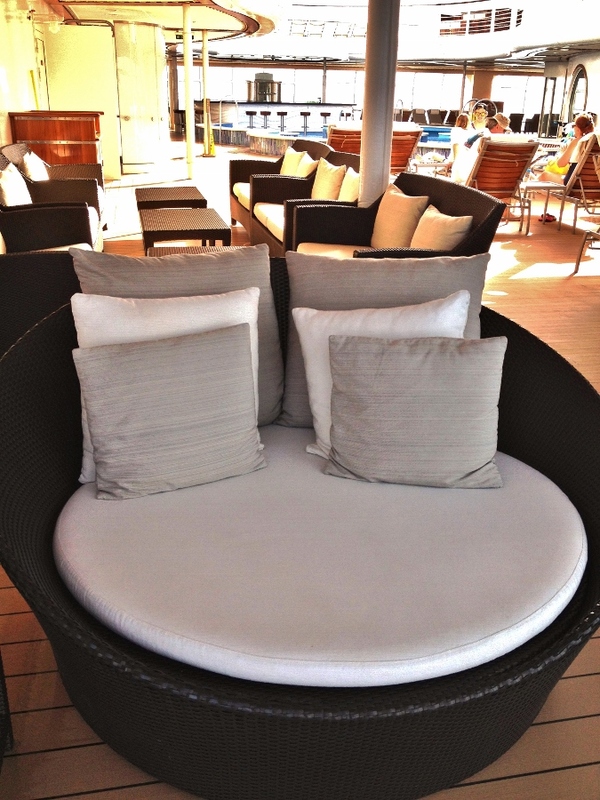 Whether I take a seat under the falls or stretch out on one of the comfortable deck chairs, Satellite Falls is absolute relaxation. If the weather is exceptionally windy, the crew may close this area temporarily because it can get windy regardless simply based on its location, but there are plastic barriers blocking most of the wind from the immediate pool area. Quiet Cove. 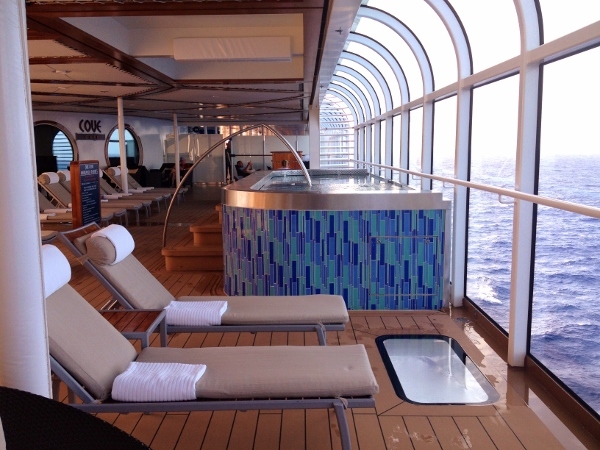 The official adults-only pool area on deck 11 is called the Quiet Cove with the Quiet Cove Pool at its epicenter. 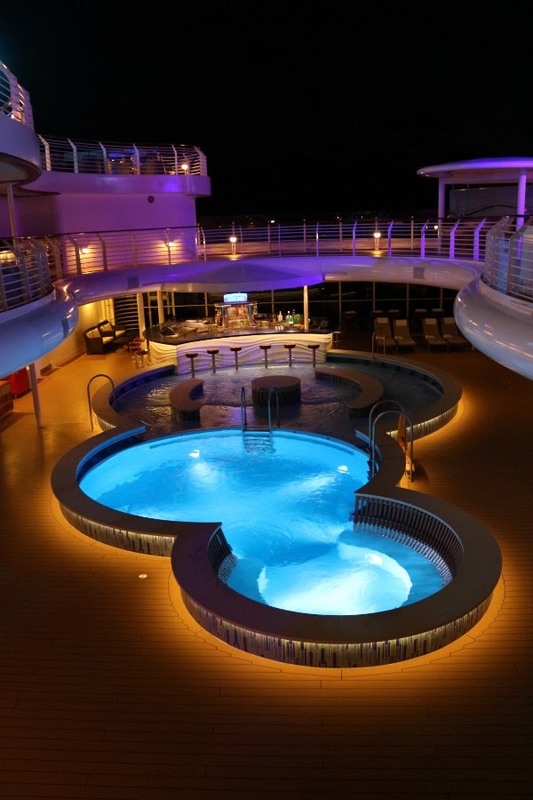 On the Fantasy and Dream, this pool is made up of 3 circles--one is very shallow (6 inches deep), is perfect for sunbathing and makes up part of the wet bar, the second is about 5 1/2 feet deep, and the third is less deep (about 4 feet) and has a seat around the edge similar to a hot tub. This is my favorite part of the pool. It's nearly impossible to get me to leave! 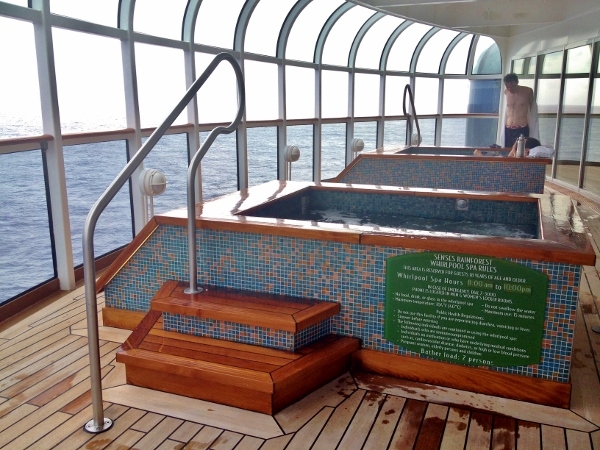 The Quiet Cove also has the Cove Bar, the Cove Cafe, two hot tubs (with glass floor beneath which you can see deck 4 and the ocean below), additional glass floors near the hot tub, tons of comfy seating, deck chairs, and more. Rainforest Room. One of the best deals at the Senses Spa. 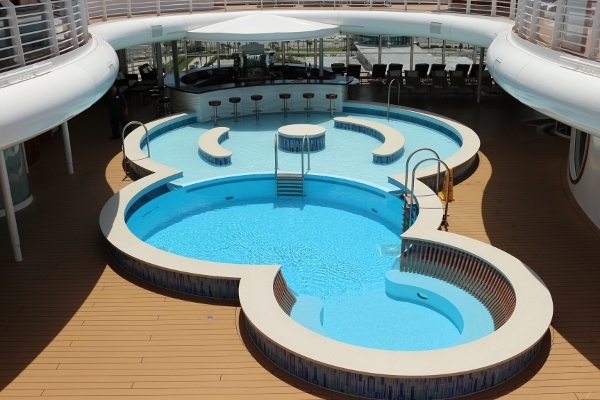 There is a Rainforest Room on all the ships, but only the Disney Dream and Disney Fantasy offer the spectacular ocean views from the hot tubs and sunchairs. 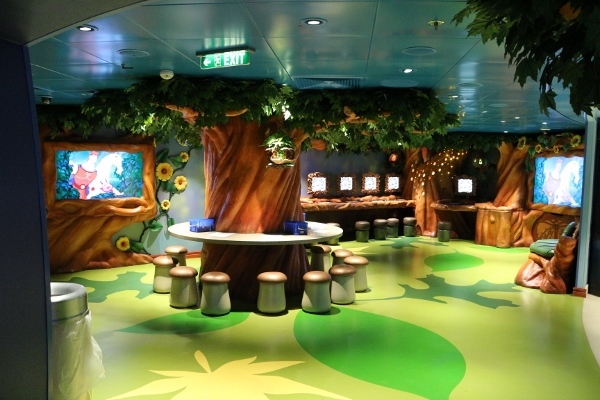 Booking a day-pass for the Rainforest Room in advance (before embarkation) costs $16 each, paid in full. 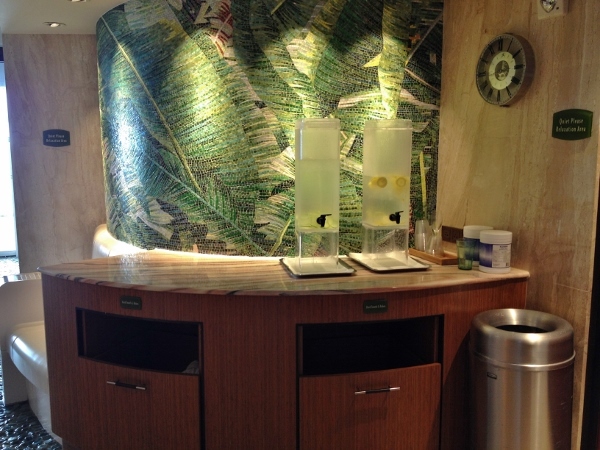 If you plan to visit after already boarding, the cost is $27, but it does include a portion of DIY scrub. 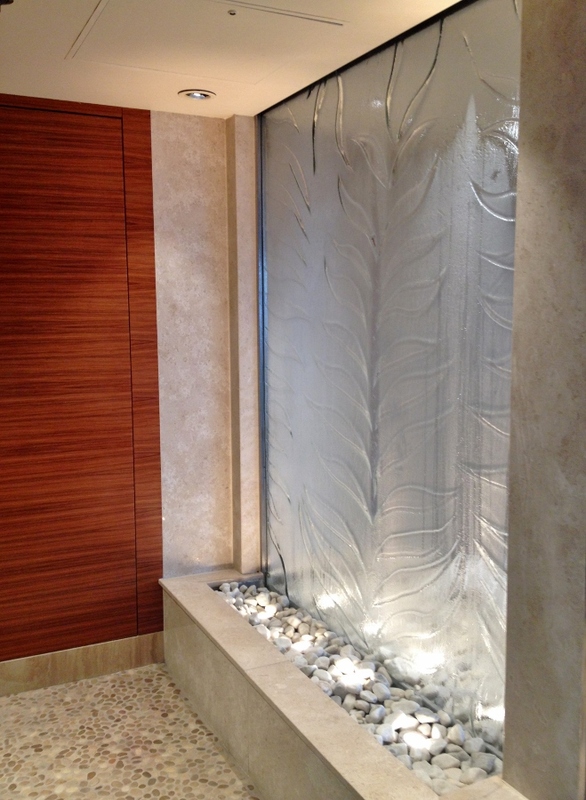 After donning robes (over bathing suits of course), we're greeted by a calming waterfall as we enter the tranquil space. 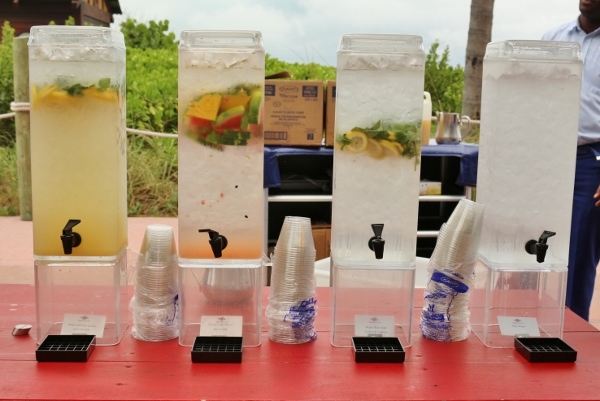 Lemon and cucumber waters are available for rehydration. 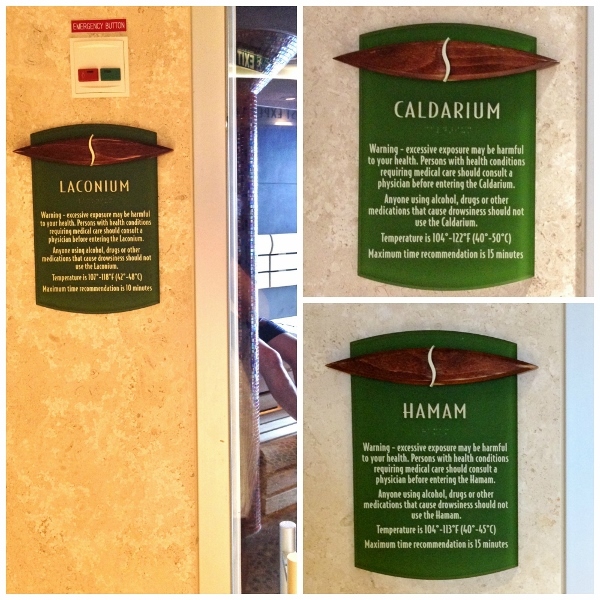 The Rainforest Room has 3 saunas: the Laconium (dry sauna) with an ocean view, Calderium (steam room), and Hamam (steam bath). They suggest using the rooms in that order, visiting the various themed showers in between, and then using the DIY in the steam bath, allowing it to soak a bit before rinsing it off. 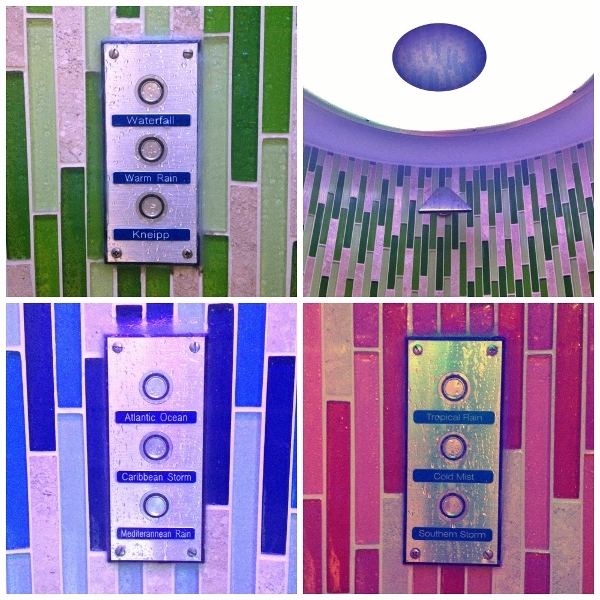 There are 4 showers, each with 2 or 3 different shower settings, most of which include different temperatures, water pressures, aromatherapy, sounds, and even changes in lighting. 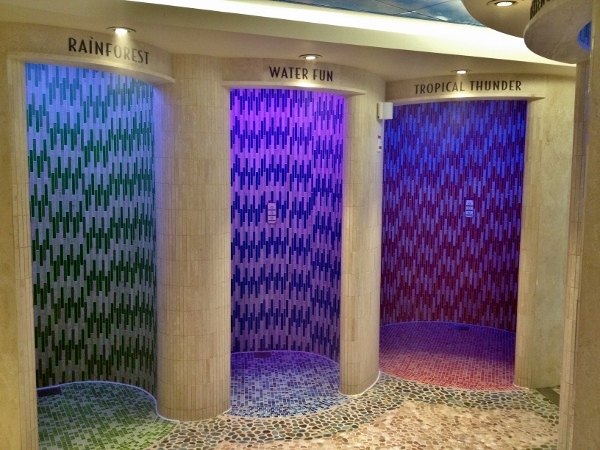 Rainforest, Water Fun, and Tropical Thunder are the main showers. The Rainforest shower has two shower heads. One basically pours out cool water while the other sprays warm from above. The first two buttons turn on either of these features, while the third does both simultaneously for a cool/warm water sensation. 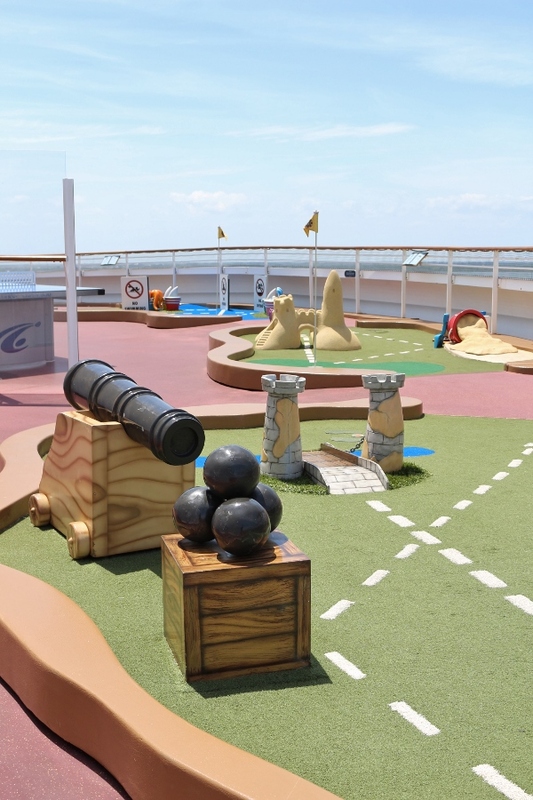 The Water Fun and Tropical Thunder feature a lot more in the realm of variety in senses. Sounds of the rainforest or rumbling thunderstorms are common, and aroma of wet leaves can easily permeate your senses depending on your shower selection. These are a lot of fun! The last shower stands all by itself. 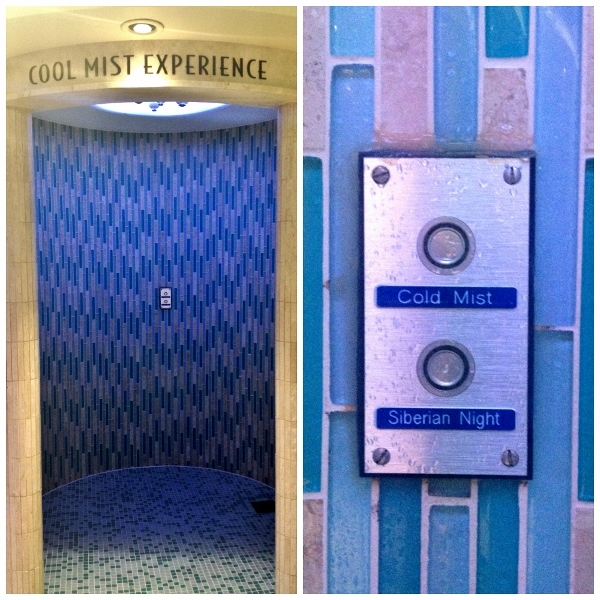 It's the Cool Mist Experience and comes in 2 temperatures: cold and colder :) Believe it or not, you will enjoy a cold shower very much after spending some time in the hottest and most humid of the saunas. 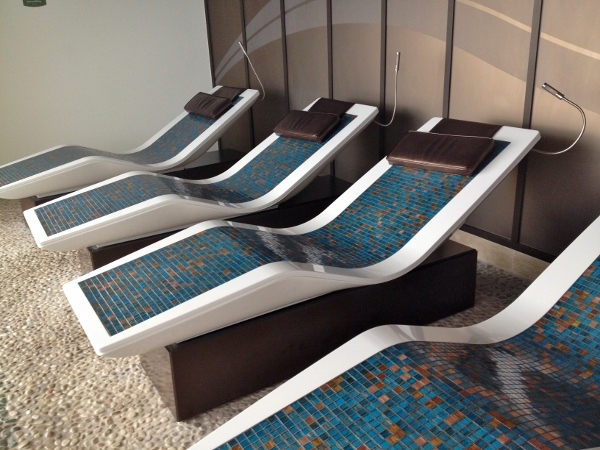 Ten heated tiled sunchairs and 2 hot tubs are in an outdoor area adjacent to the shower/sauna room. They truly are the epitome of relaxation. 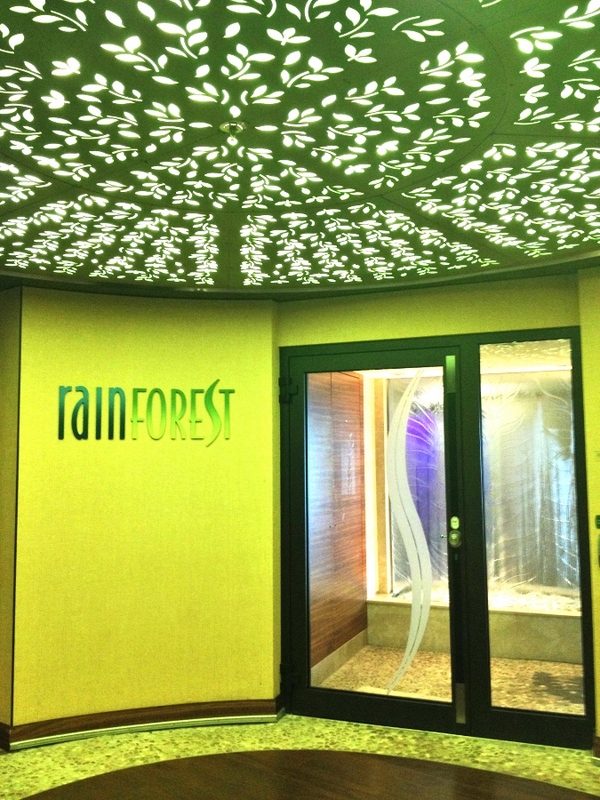 A day-pass to the Rainforest Room means you can come back throughout the day, and only a certain number of passes are sold daily to control overcrowding in this ultimate relaxing haven. Aquaduck. Pretty much the opposite of the Rainforest Room but such a blast! 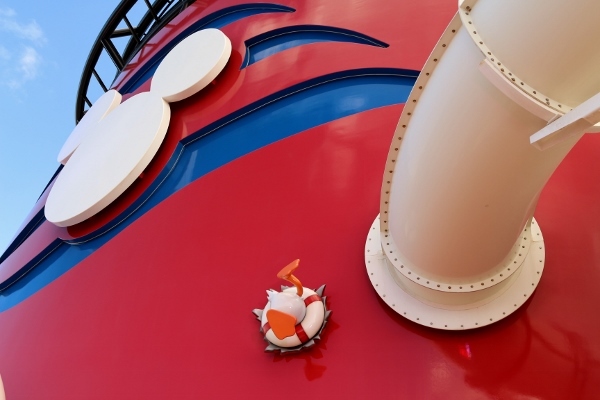 The Aquaduck is found on both the Disney Dream and the Disney Fantasy. 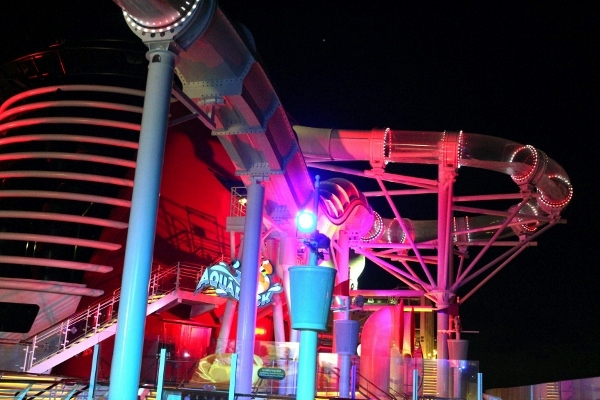 It's actually not a water slide, but rather a water coaster that sends riders shooting off the side of the ship and around the ship from funnel to funnel on a fun splashtastic journey! 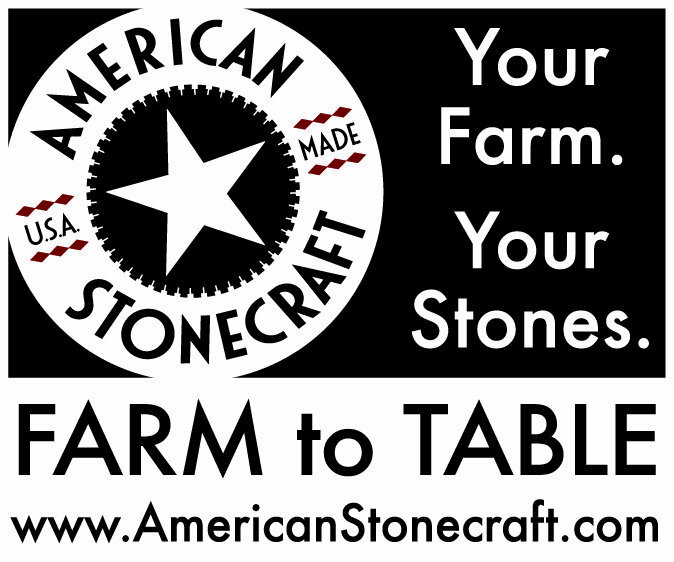 This is fun for the whole family! 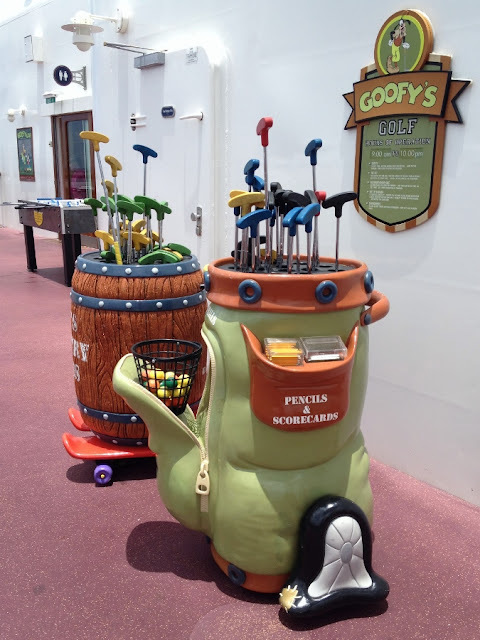 Goofy's Golf. 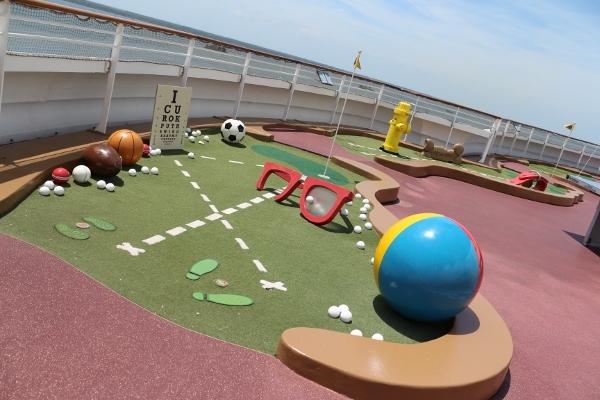 Goofy's Sports Deck is found on deck 13 aft of both the Dream and Fantasy and includes everything from basketball to foosball, but my favorite feature is Goofy's Golf! This mini golf course stretches from starboard to port and is another family-friendly activity that from my experience is rarely crowded. Midship Detective Agency. 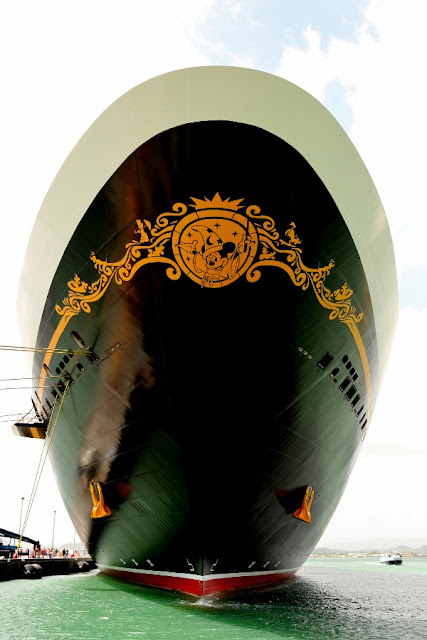 The Midship Detective Agency is found on the two newer ships, although the Disney Fantasy has an additional case not featured on the Dream. Detectives of any age are welcome to solve either The Case of the Missing Puppies, The Case of the Plundered Paintings, and The Case of the Stolen Show (which is Muppets themed and only on the Fantasy!). 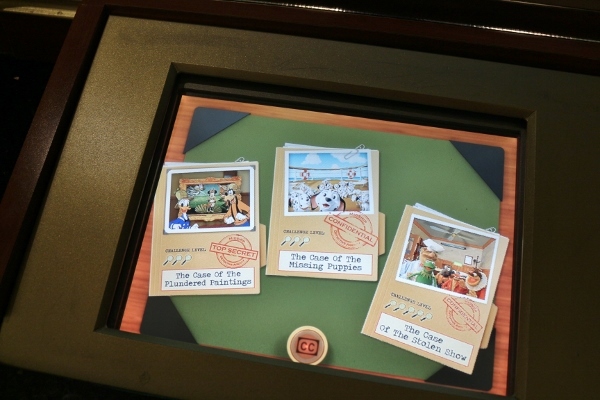 Using a card in the form of a detective badge, young (and old) detectives travel around the ship finding enchanted artwork used to find clues for solving the case. This is a lot of fun for all ages, as well. I've done this both on my own and with my young nephews. Oceaneer's Club/Lab. 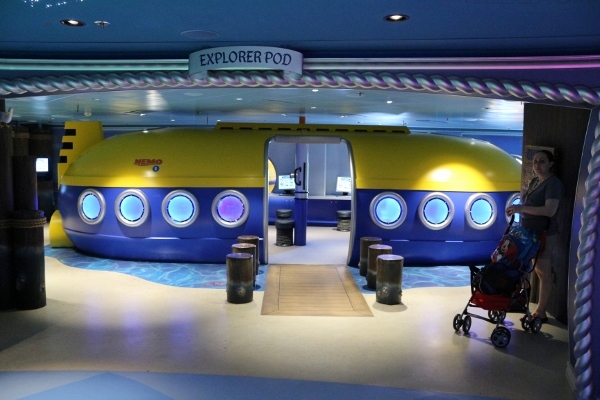 Okay okay, I know I'm not a little kid, and I don't even technically have kids of my own, but I have visited the Oceaneer's Club and Oceaneer's Lab during their occasional open houses with my nephews. 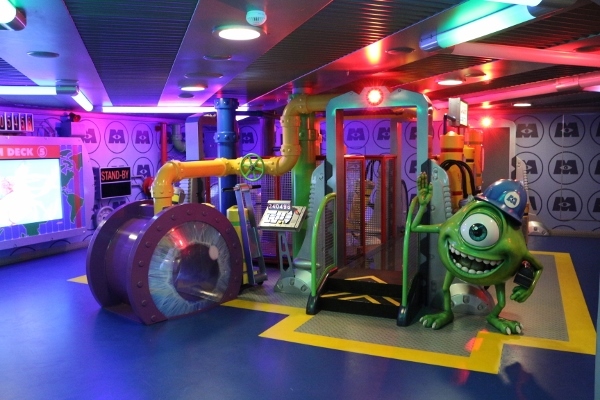 Visiting these fun spaces actually make me wish I was a kid, because they are so beautifully themed and full of so many fun activities. The clubs are unique in all four ships (the Magic has an area devoted to Marvel while the Dream is getting up update inspired by the Millennium Falcon in Star Wars! 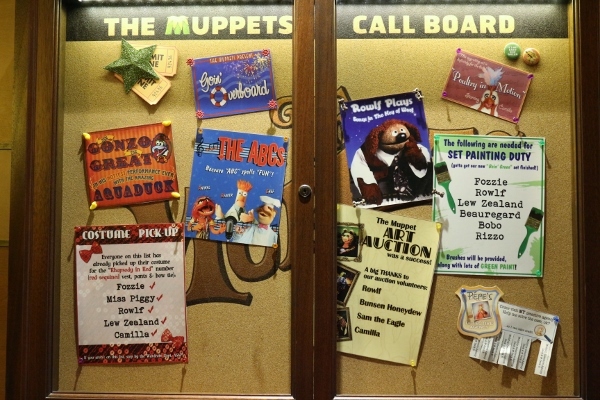 ), but here are some great photos of the club aboard the Fantasy (Andy's Room is my favorite). Character Experiences! 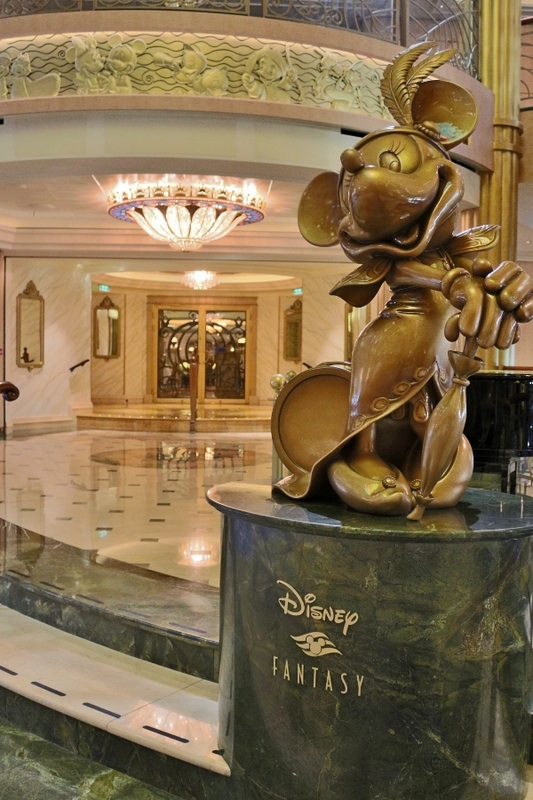 One thing that truly sets Disney Cruise Line apart from others is the fact that it's Disney! 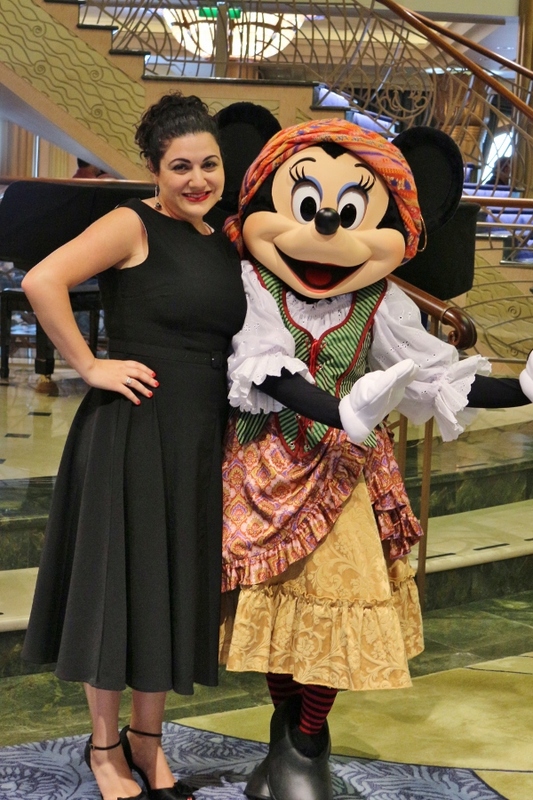 While there may be great food and fun activities aboard other ships, Disney Cruise Line is really unique in the fact that it brings the magic of Disney aboard every single cruise. 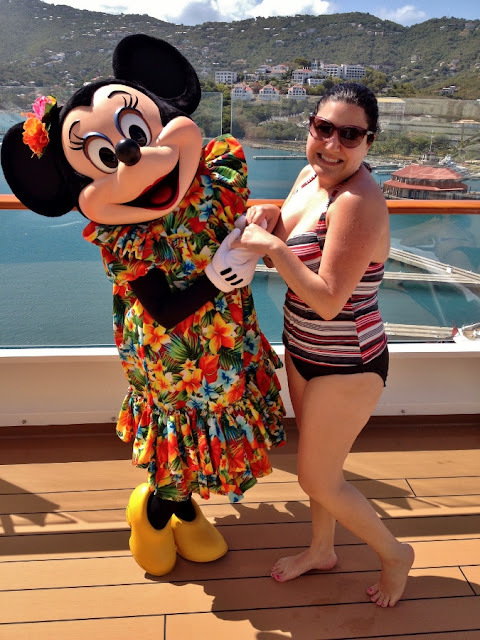 There are character experiences daily, whether they are character meet-and-greets, fun deck shows featuring Mickey and all his friends, or even occasionally at port some of the characters will walk around the pool decks just saying hello and taking pictures. As a die hard Disney lover, this is a huge plus that really helps make this cruising experience even more magical. Fireworks. Disney is the only cruise line that has fireworks at sea! 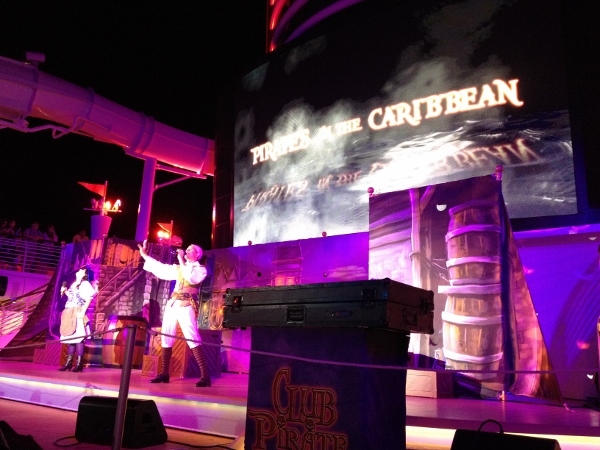 Disney Cruise Line's Pirates IN the Caribbean night features special pirate-themed menus in the dining rooms, pirate shows on the pool deck, a deck party, fireworks, and even a late-night buffet. The fireworks are my favorite, and differ based on which ship you're sailing. 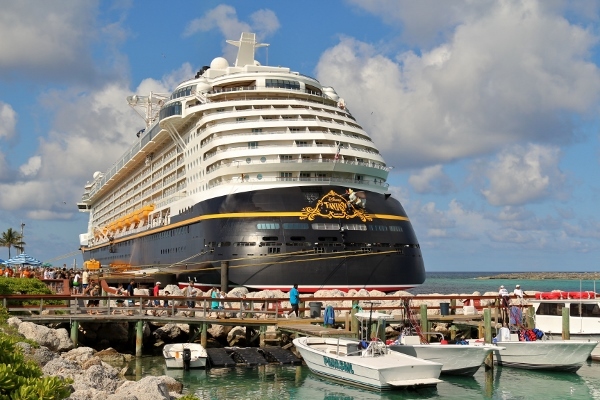 Aboard the Fantasy and Dream it's a Jack Sparrow-themed show, while the Disney Magic and Wonder showcase one focusing on Mickey and his friends facing Captain Hook. Horns. Disney Cruise Line wins in the horn department, no contest. The Magic and Wonder started the amazing ship horns legacy with their When You Wish Upon a Star horn, but the Dream and the Fantasy took is one step ahead, also adding A Dream is a Wish Your Heart Makes, Be Our Guest, Hi-diddle-dee (An Actor’s Life For Me), It's a Small World After All, Yo Ho, Yo Ho (A Pirates Life For Me), Makes No Difference Who You Are (the second line of When You Wish Upon a Star), and the full When You Wish Upon a Star – Makes No Difference Who You Are. 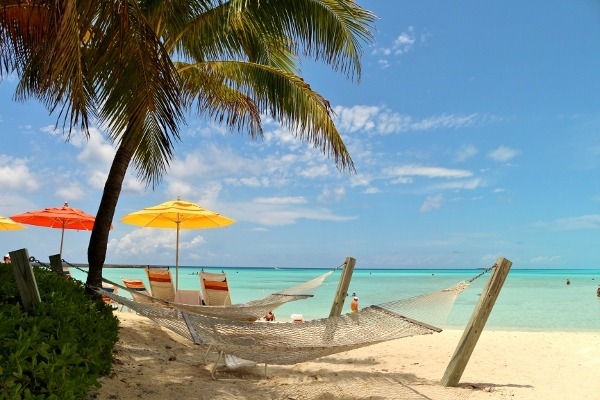 Castaway Cay. 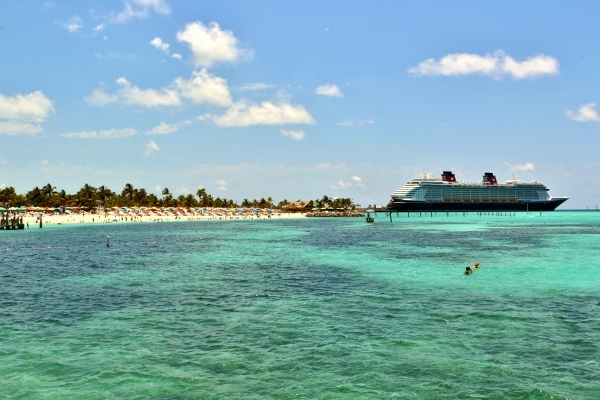 No Disney Cruise to the Caribbean would be right without a stop at Disney's private island in the Bahamas, Castaway Cay. 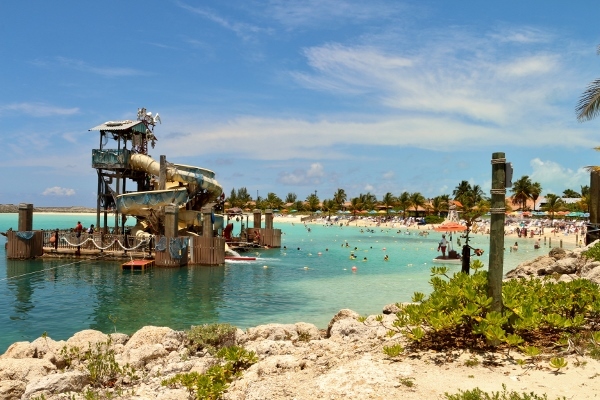 With both family and adults-only beaches, waterslides (called Pelican Plunge! 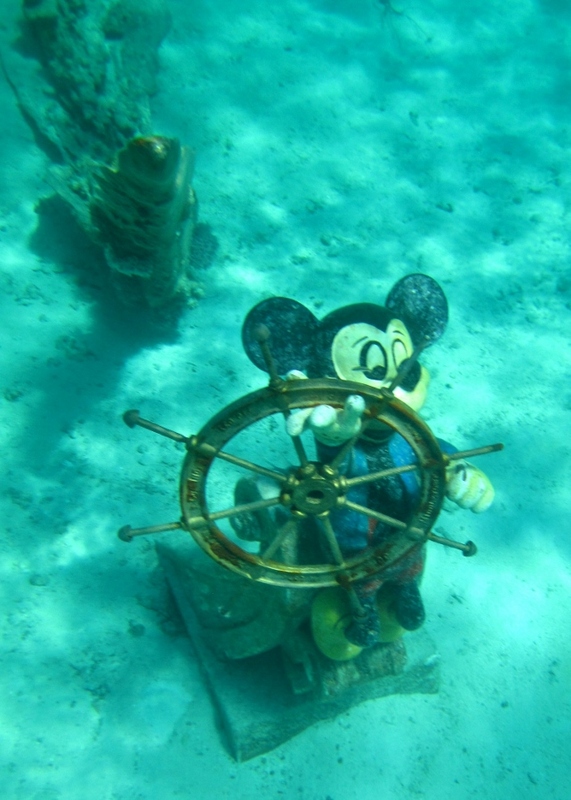 ), a snorkeling lagoon (with sunken treasures including Mickey and Minnie Mouse! 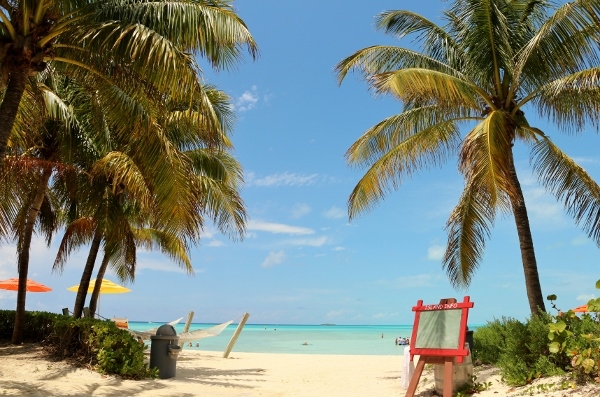 ), and tons of other activities, Castaway Cay is always the cherry on the sundae for any Bahamian or Caribbean cruise with DCL. 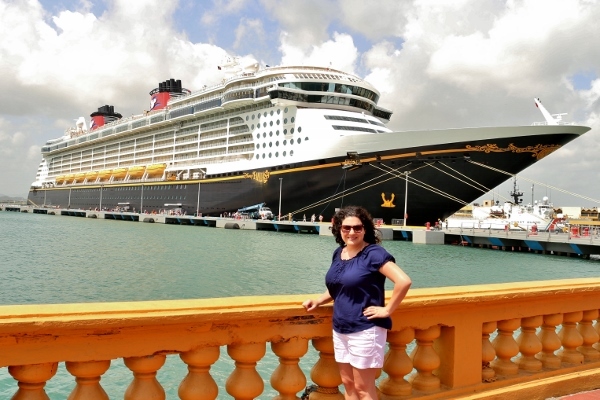 I hope you enjoyed learning about some of my favorite things sailing on Disney Cruise Line (specifically the Disney Fantasy). 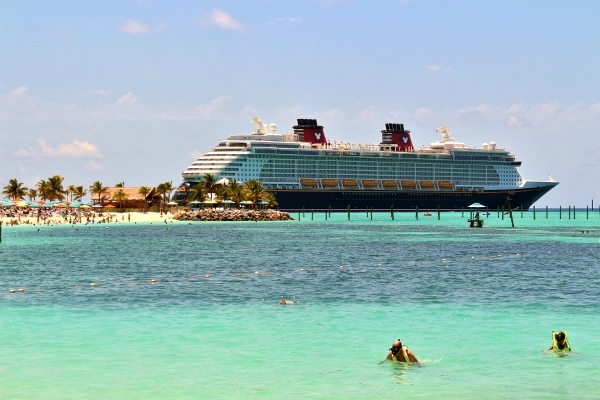 If you've ever considered cruising, I really hope this helps convince you to try a Disney Cruise. 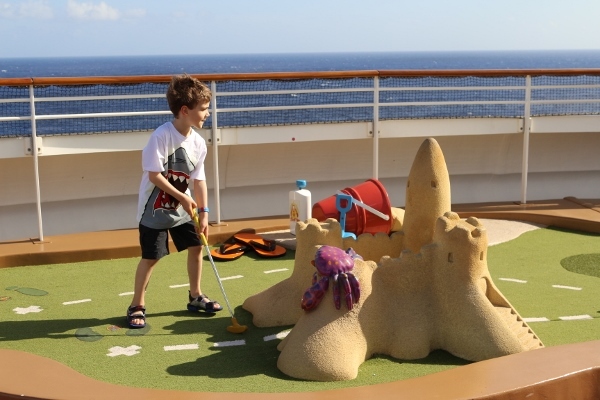 It's fun for all ages, even if you're not traveling with children.